Alright, this post is going to be completely different from an average phone review. This phone right here is the god of all the smartphones out there. Its the most costliest phone a person can ever own, at least for the time being. Its the ultimate feat of all the cutting edge technology that is out there for a smartphone currently. I am going to review the most costliest phone out there, the Solarin by Sirin Labs. 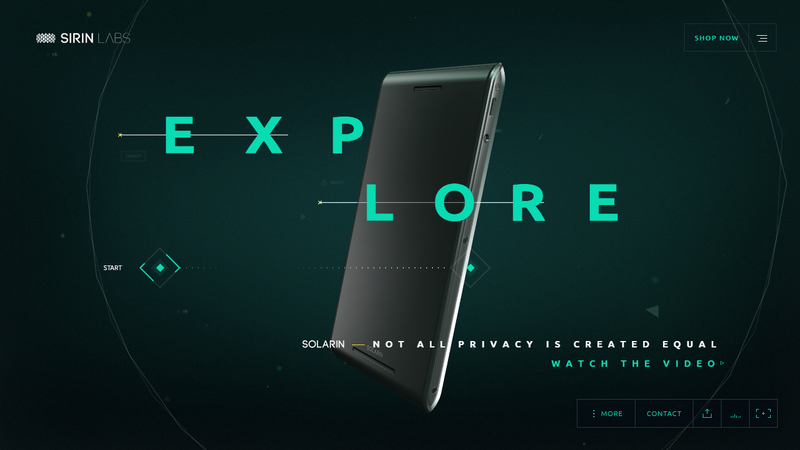 Don't blame yourself for not knowing the name of the company before because, Sirin Labs has just launched its first mobile phone which is the Solarin. The most sought after feature of this phone is its highest level of security. Sirin Labs has set a new standard in securing the communication through their handset Solarin. To cut a long story short, Solarin is packed with some serious CIA or NSA kind of security. This is the kind of phone James Bond or Ethan Hunt would use during their mission, and I am not even joking. This phone has two modes, one will be the normal phone mode( which itself is highly secured ) and an encrypted security mode that uses an end-to-end 256 bit AES encryption. Solarin's design is an excellent mixture of aesthetic craftsmanship and extreme durability that aims at flaunting the luxurious lifestyle of the person who owns this phone. It is made up of a flexible metal matrix composite chasis that provides an out of the world kind of durability which is then overlapped with Swiss-made hand-crafted deco panels that adds a touch of sophistication to this already luxurious device. And finally the Solarin's back cover is made up of most exclusive Italian leather. Solarin comes with a uniquely curved 5.5 inch screen. A 2K display (2540X1440) which is forged from Corning Gorilla Glass 4, that supports 16 LEDs backlight ensuring minimum color blending and presenting individual colors in their most distinct and brilliant form. Solarin comes with a 24 megapixel rear camera with laser autofocus and four-tone flash that can reproduce natural light under flash condition. It can also shoot 4K videos and takes some extraordinary low light pictures and a 8 megapixel front facing camera with a front flash to illuminate video calls from poorly lit environment. Solarin is built with Qualcomm Snapdragon 810 under it's hood with a 2GHz octa-core processor and also a 64-bit CPU designed to maximize connectivity, speed and power. On top, Solarin runs on Android 6.0.1 Marshmallow. Solarin handsets comes with 128 Gb of storage standard in all its phones. The whole system is powered by a 4000 mAh lihium ion battery which has an exceptional high energy density. Solarin's Fingerprint sensor is based on optical trackpad technology which ensures that you data inside the phone remains extremely secure and private.